Jeanette Sorrell and Apollo’s Fire | The New York Baroque Dance Co. Taking its name from the classical god of music and the sun, Apollo’s Fire is dedicated to the performance of 17th- and 18th-century music on the period instruments for which it was written. The ensemble unites leading early music specialists from throughout North America and Europe. 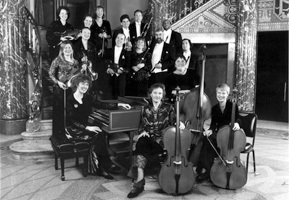 Apollo’s Fire was founded in 1992 by harpsichordist-conductor Jeannette Sorrell, and made its debut to critical acclaim in June of that year. Since then, Apollo’s Fire has toured widely, been featured in national and international broadcasts, and established a thriving subscription series serving audiences in Cleveland and Akron. Apollo’s Fire has ten recordings to its credit, including six on the Canadian label Eclectra and three new releases on KOCH International Classics.